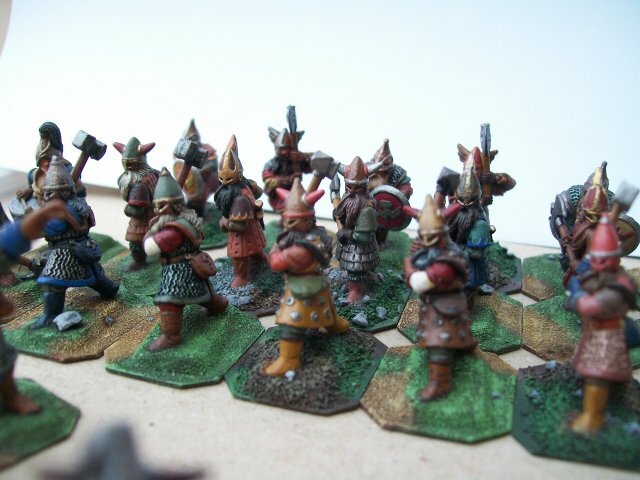 Definitely they are not the Dwarves of the "Lost Dwarven army". The figures are all from the old regular M-series (Dain Ironfoot without a base is one part of a small vignette). This is confirmed on the back of the box. Interesting is the hint at an "upcoming" Half-orc army which is the topic of the other "lost army". That so-called "sergeant" is M365 Gloin in war gear. 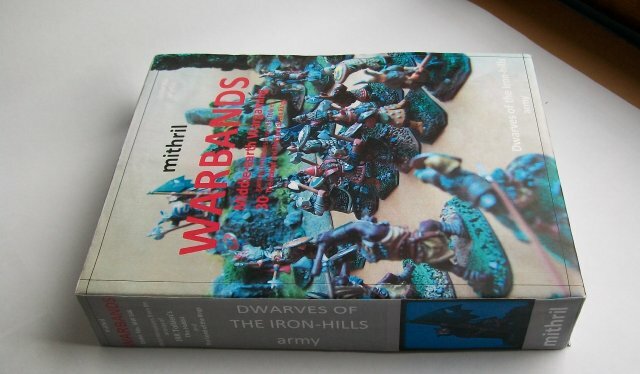 The figure which on the box is declared as "ranger" is the M127 Gimli-figure. 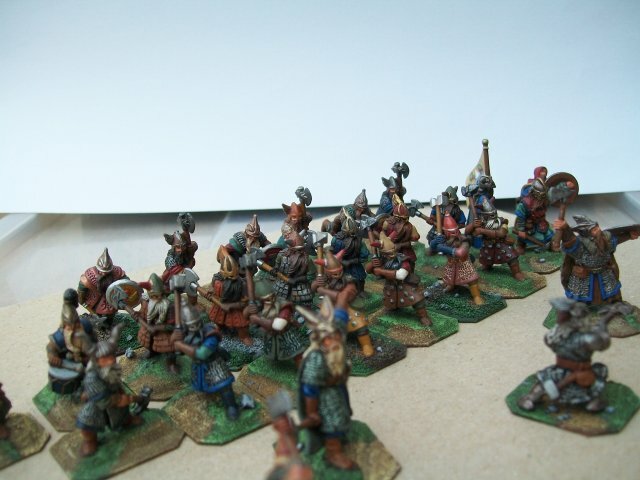 BUT most surprising are all the bases which clearly are not original Mithril-bases and more remind of the bases used by a certain Gerold. Anyway, my judgement is that this box, called "Mystery case" is a fake. This is exactly very strange indeed. Also Master Gerold didn´t left any word on it . . . 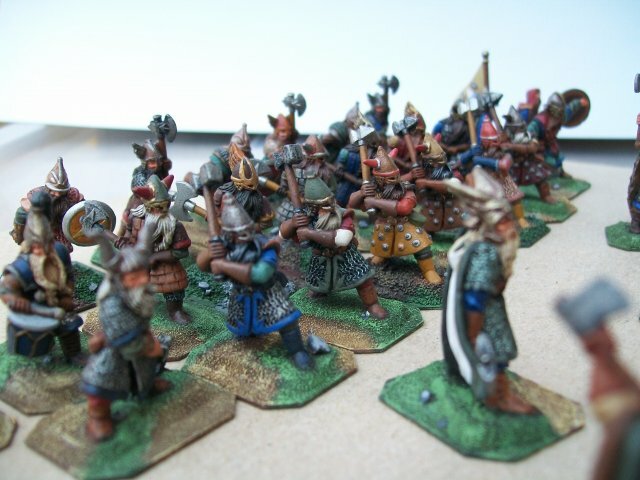 Regarding the photographs, those are defenetly not the Iron Hill dwarves- a Master Tree pointed out. Unprofessional as the company is, that unprofessionality is not usual for them . 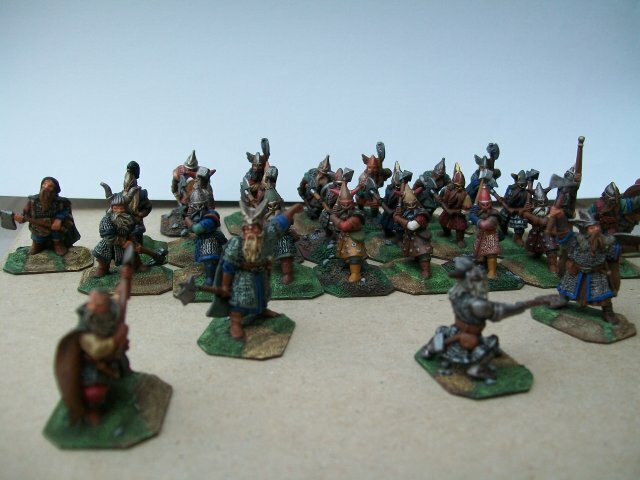 . .
As far as I am informed, "Saruman´s army" is always mentioned first! Here it is the other way . . . strange that is . . .
Master Theobald is a good observer . . . I also would say- this is a fake- as far as the packaging is concerned- a professional one. Although the "designer" used the wrong font!!!! Well, I like the idea of this personnal cover very much. 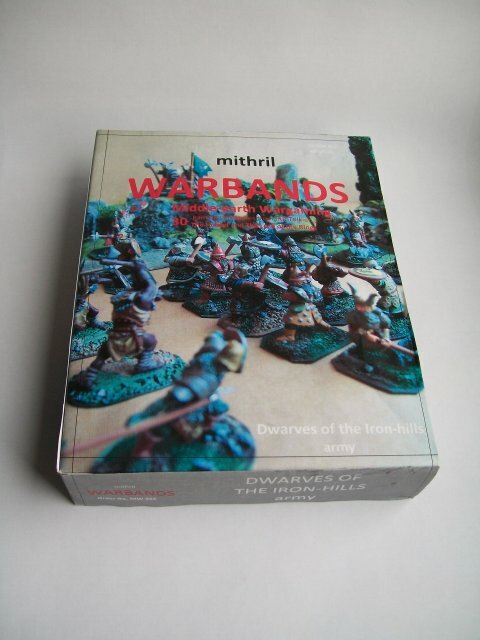 Of course, it is regular dwarves shown, and every details do not match official Mw336, Mw337 box covers. 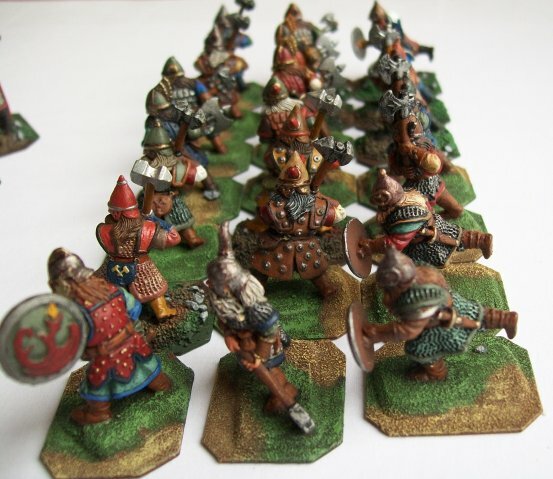 Looking at bases, it reminds me of Master gerold bases. Could it be your production? I think, you have hit the top. The box art is from Master Gerold himself! Absolute clearly now! The figure painting-style and the non-mentioned-anything is the proof. Lets have a drink on that. Well, that's what I tried to point out in my first comment yesterday, Master Turambar. 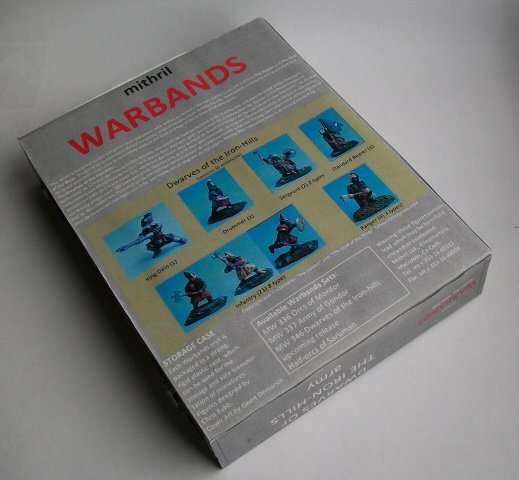 I think obviously those Gerold-bases in the pictures on the box are the best proof that it is a fake. 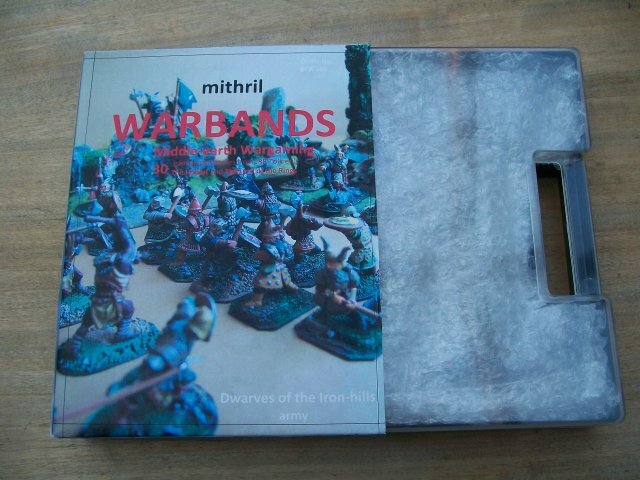 As for another matter I think it is a bit tricky to publish such a fake of a "Mithril box" that does not exist. All right, all right, you all got me! 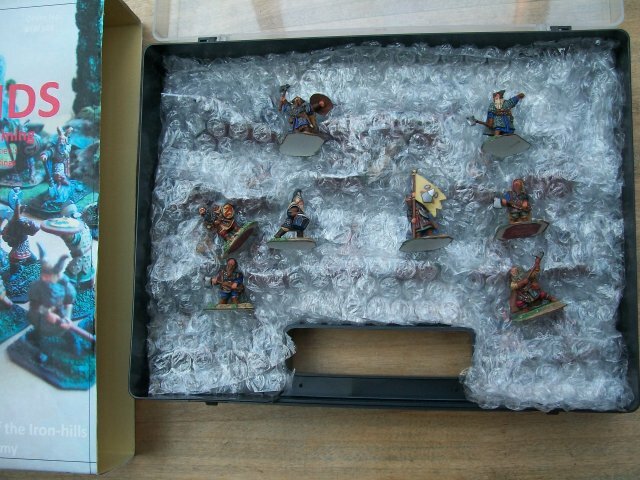 But please don't take it too serious, as I only wanted do create my own 'Dwarves warband', complete with box, just for my own pleasure (and for the pleasure to see how reactions would be when publishing the pictures). But, on a different modelling subject, for those familiar with the old Aurora plastic models that got many of us interested in Frankenstein, Dracula etc. some die-hard collectors have in fact made up 'spoof' boxes of subjects that were either planned but never released, or were figures that some fans thought should be released. 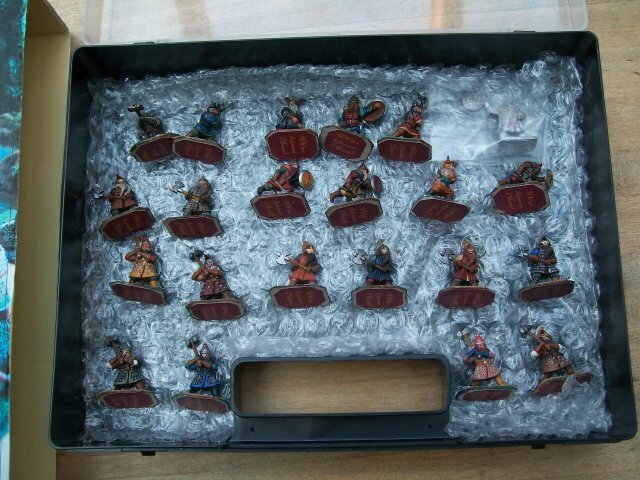 Very nice way to travel with your dwarves' set Master Gerold. I like last picture with all these little fighters standing together. Happy Eastern weekend every one!